The Rebel Sweetheart. : Pucker Up! | Chanel Rouge Allure Gloss. Pucker Up! 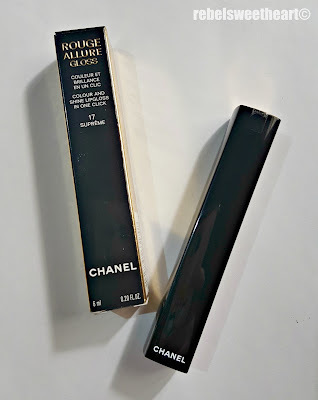 | Chanel Rouge Allure Gloss. And we're down to the last Monday of the month! The month of April sure went by fast, considering that we're mostly stuck at home, staying indoors, and avoiding the scorching heat as much as possible. In a few days, we'll be flying to somewhere more temperate (take a guess where, haha) and I can't wait to feel that blustery spring breeze once again! I've actually began packing over the weekend - most of our clothes and toiletries are already inside the luggage bags, our medicine kit is good to go, even my vanity is ready and packed with the usual makeup items that I bring whenever I go on a trip. This includes the Chanel Rouge Allure Gloss, which I know for sure will not budge during my four-hour flight. Chanel describes this as a 'colour and shine lip gloss in one click'. Brief product description in different languages. 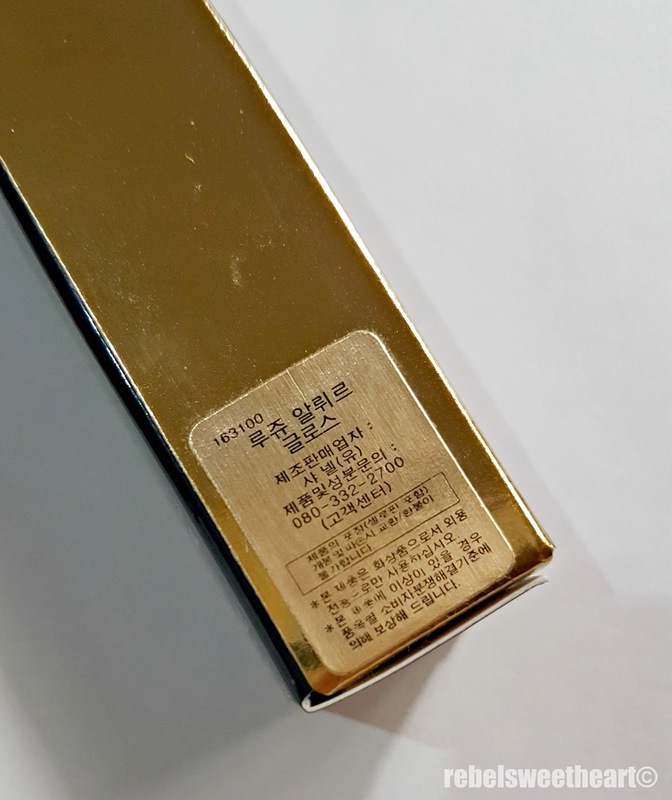 This was bought in Korea. I actually received this as a gift from my Korean unni. 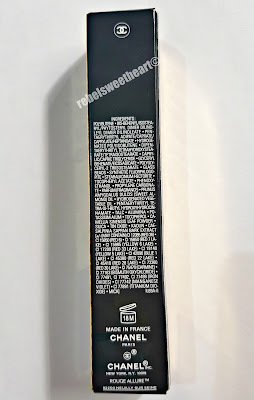 For starters, can I just say that this product's packaging is absolutely gorgeous? The box alone exudes elegance with the gold lettering and gold side panels, while the black lacquered tube is nothing short of chic. Shade number and color reference at the base. The tube's sleek and modern packaging comes with a unique 'one-click' feature. Simply click the top portion (the one with the Chanel logo) by pushing it down, and it springs back up to reveal what is actually the base of the lip gloss wand. 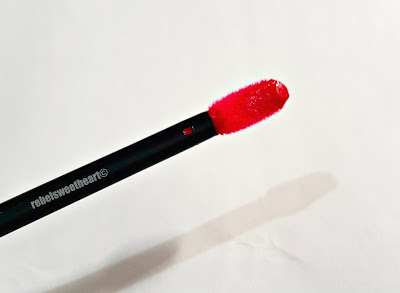 It comes with a beveled, double-sided, flocked applicator which allows easy, breezy application and precise definition. It looks like a paddle from this angle. From another angle, you can see the applicator's sloping edge. The lip gloss has a rich, somewhat creamy texture which glides on smoothly when applied. Its consistency is rather thick but not goopy, slightly sticky - yes, but does not feel heavy on the lips. 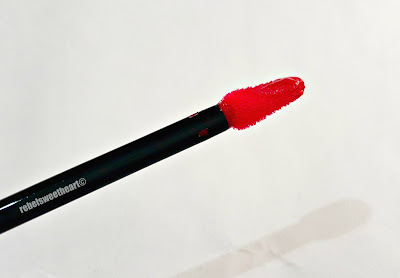 It has a semi-opaque formula with gorgeous and intense color pay-off. Indoor lighting. Swatched once on the left, twice on the right. Natural light. Swatched once on the left, twice on the right. Chanel Rouge Allure Gloss comes in ten different shades, and this one is #17 Supreme. It's a bright fuchsia pink with a sophisticated, glassy finish. Shade number indicated on the top flap. Ingredients listed at the back of the box. 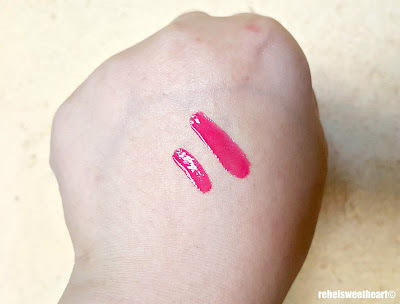 I absolutely love how crazy pigmented this lip gloss is! Add to the fact that it's hydrating and very comfortable to wear. Best of all, it stays put on my lips for almost seven hours. I've had my morning coffee, several glasses of water, plus my afternoon tea, and the color is still there! Seven freaking hours. For a lip gloss. How amazing is that?! 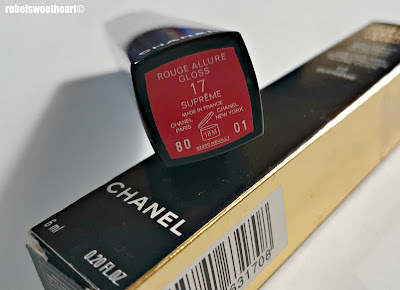 Chanel Rouge Allure Gloss in #17 Supreme. The Chanel Rouge Allure Gloss retails for $37 (around Php 1800), but I got mine as a gift last Christmas. 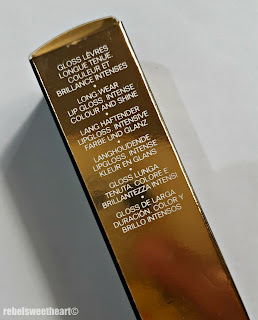 I won't usually spend that much for a lip gloss, but I guess it's okay to splurge on something like this every once in awhile. On that note, somebody stop me from buying another shade of this lip gloss! Haha! Laneige Milkyway Fantasy BB Cushion Whitening. Clio Salon de Cara Backcomb Cara. 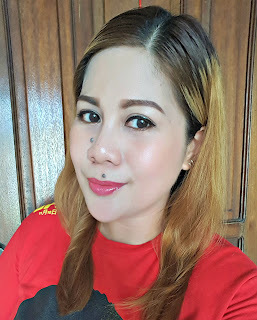 CHEEKS: Tony Moly Cristal Blusher in Pleasure Peach. 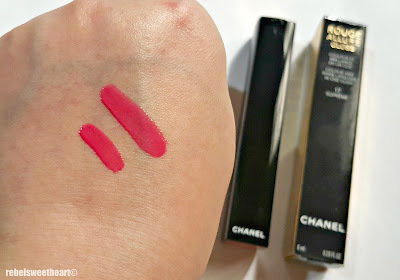 LIPS: Chanel Rouge Allure Gloss in Supreme. Wow I’m surprised these haven’t been discontinued yet. 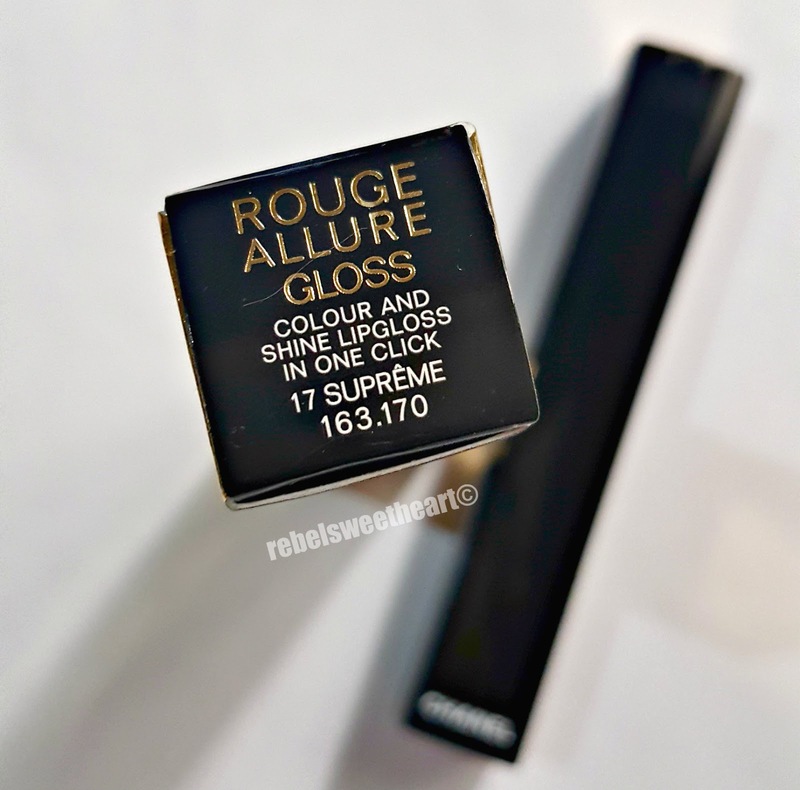 They’re a good gloss formula, but when they discontinued Rouge Allure Laque, I thought they’d discontinue this one too for some reason. I have a price limit on lip glosses and lipsticks, lol! Although it's really nice that you reviewed it. It looks like a worthy purchase, I like the color. It looks really hydrating. I love that it's really pigmented too. It's definitely a good buy! Thanks for the review. It looks like a good product to try, the pigment/color does not fade whether you are out in natural light or indoors. A bit pricey, but I guess it is worth it. It's a nice rich shade of pink. I like that padded brush too. A quality brush makes such a big dif.! Chanel is really one of a great brand! 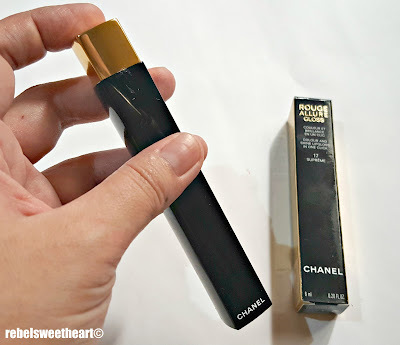 I would love to have all of chanel products! Its really great. Great benefits if you are in the corporate sector. 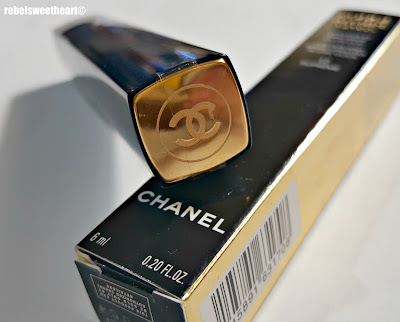 Chanel is one my favorite brand. Seoul Searching | Hyundai City Outlets. Fashion Pulse | Spice Up Your Look. Spotlight | Laneige Milkyway Fantasy BB Cushion. Seoul Searching | Sending Mail from Seoul. Seoul Searching | Under Stand Avenue. Spotlight | Nutri 10 Plus Syrup. Spotlight | Laneige Multiberry Yogurt Pack. 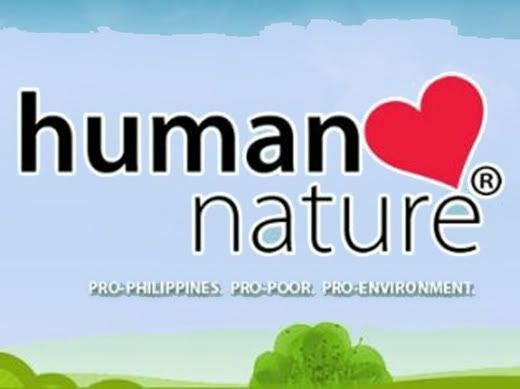 Spotlight | Human Heart Nature Natural Lip Scrub.